The new year has brought a new chapter in the School of Engineering’s story due to Dean Sevim’s retirement at the end of 2015. I am honored to have been asked to assume responsibility of our engineering community during this transitional period. Over the last decade, the School has made significant progress on every front, and we have achieved academic recognition not only in our immediate geographic area, but also in the region as a preferred engineering school among prospective students. I can assure you that I will, to the best of my abilities, safeguard the academic quality and integrity of our programs. Associate Dean Chris Gordon, PhD, and I asked Keqin Gu, PhD, to join us as the interim associate dean to help manage the School’s affairs during my time as interim dean. The three of us are looking forward to working with alumni and friends of the School as we turn the first page of the new chapter in our School’s history. The School of Engineering celebrated its exceptional students, faculty and alumni at its 10th Annual Awards Banquet held February 25. The School recognized an outstanding junior, senior, graduate student, faculty member and alumnus from each of its six degree programs. 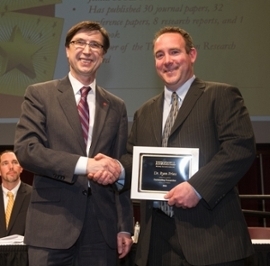 Photo: School of Engineering Interim Dean Cem Karacal presents Ryan Fries, PhD, associate professor of civil engineering, with the outstanding researcher award. Learn more about the awards banquet. 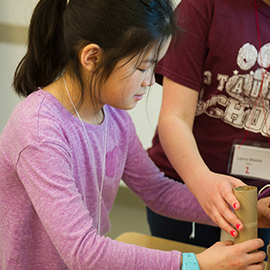 More than 200 girls from grades 5-8 attended the fourth annual “Introduce a Girl to Engineering Day.” Hosted by the Society of Women Engineers, the daylong event offered exposure to the engineering field. Participants completed a total of five activities, covering the fields of civil, mechanical, electrical, industrial and computer science engineering. 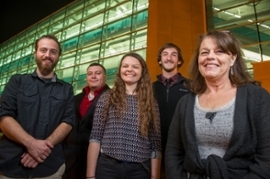 Students in the Engineers Without Borders organization are on a mission to build a sustainable water distribution system and provide access to clean drinking water in a remote Guatemalan village. Along with providing a much-needed resource to the community, the project is exposing future engineers to important project-management aspects of the industry. Photo: A travel team went to the community of Virginia in January to assess the viability of digging a deep well to accommodate the village’s needs. 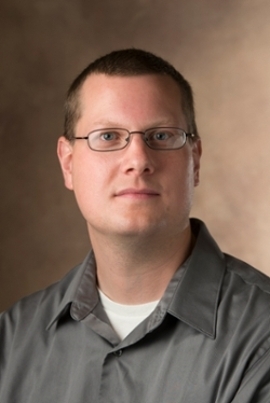 Timothy York, PhD, assistant professor in the Department of Electrical and Computer Engineering, has earned the coveted 2016 IEEE Donald G. Fink Award. The award recognizes York, and a number of exemplary co-authors, for their paper on the topic of bioinspired polarization imaging sensors. The IEEE awards program has paid tribute to researchers, inventors, innovators and practitioners whose exceptional achievements and outstanding contributions have made a lasting impact on technology, society and the engineering profession. Read more about York's paper and award. 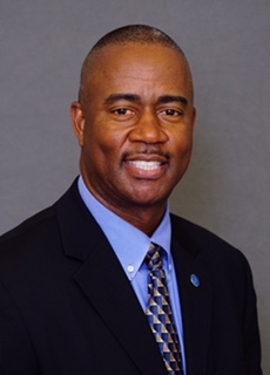 Mock became Charlotte campus president of Johnson & Wales University in North Carolina in September. Learn more about Mock's trajectory to his new position.